Diane is a former management consultant with broad experience in designing leadership and training programs. She was Director of Deepak Chopra’s International Seminars and has worked for various knowledge-based companies such as Wilson Learning, John Wiley & Sons Publishers, International Learning Systems and ARC International. Diagnosed with Parkinson’s in 2008, Diane graduated from The Parkinson’s Disease Foundation’s (PDF) Clinical Research Institute in 2009 and has participated in 15 clinical trials herself. She serves as patient consultant to a number of studies. Nationally, Diane has served on PDF’s People with Parkinson’s Advisory Council, the Steering Committee of the Clinical Trials Transformation Initiative (CTTI), as Parkinson’s Action Network (PAN) Colorado State Director and currently serves as a Patient Representative to the FDA and Senior Patient Advocate of the ProjectSpark Foundation. Locally, she has served on the Board of the Colorado Neurological Institute (CNI), and currently serves on the Advisory Committee of the University of Colorado Movement Disorders Center. She is the recipient of CNI’s Hope Award, Channel 9’s “9 Who Care” award and co-recipient of PDF’s Leadership Award. In connection with her pioneering work with self-efficacy, she is a frequent speaker and has presented abstracts at both the Sydney and Berlin International Parkinson’s and Movement Disorders Congresses and the Montreal and Portland World Parkinson’s Congresses. Diane is a member of the New York Academy of Sciences. She and her husband and care partner, Gary, live in Denver, Colorado and are the grandparents of 5 grandsons under the age of 5. Betsy Mathies was diagnosed with Parkinson’s Disease in March, 2012. Following a 25-year career in a busy Denver pediatric practice, she suddenly found herself facing new and unforeseen challenges, but also opportunities to help others. Soon after her diagnosis, Betsy was invited to participate in a clinical trial called PD SELF: Self Efficacy Learning Forum. The focus of the program was to apply the concept of self-efficacy in managing a disease like Parkinson’s and how it could improve one’s quality of life. 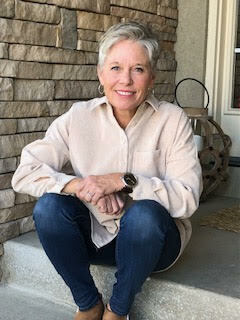 Not only did the program have a remarkable impact on Betsy, she became an immediate advocate and for the past three years has been co-facilitating one of the Denver chapter’s programs for others who have been recently diagnosed. She has served on the board of Colorado Neurological Institute for the last several years, most recently as president, where she has led the board through the difficult process of closing the organization in July, 2018. She also serves as a board member for the Movement Disorder Foundation (MDF) and for the Knoebel Institute for Healthy Aging at the University of Denver. When not enjoying her grown daughters and their families, Betsy can be found pursuing her passion for golf or enjoying a wine with an ever-expanding circle of friends. She has been happily married to her husband, Mike, for 39 years. Betsy has described her Parkinson’s Disease as, “the best thing that’s ever happened to me.” Knowing how enriched her life is with her current capacity to help others, that statement not only makes sense, it defines how purposeful she remains in this next chapter of life. Since 2002, Kathleen has been the Director of Social Services and Program Development for the Houston Area Parkinson Society (HAPS), a non-profit social service organization that provides services to individuals with Parkinson’s disease and their families throughout the greater Houston eight-county area. During her time with HAPS, Kathleen has started many educational programs, including a Newly Diagnosed Education Program and Caregiver Conference and Summer Lecture Series. She has implemented several new therapeutic programs, including dance and singing, tango and the Parkinson’s Enrichment Program, and she has established over 17 support groups. In addition to being responsible for all programs offered by the organization, Kathleen provides ongoing case management for individuals with PD and their family members, facilitates numerous support groups and is a co-facilitator of the local Houston PD SELF team. Kathleen is a member of the Unified Parkinson's Advocacy Council, Policy and Advocacy Volunteer and a Fox Trial Finder Ambassador for the Michael J Fox Foundation for Parkinson’s Research. Kathleen graduated from the University of Houston Graduate College of Social Work in 2001 with a master of social work degree with a gerontology concentration and continues to serve as a Field Instructor for graduate social work students at the Graduate College of Social Work. Originally from California, Eileen found a new home in the beautiful region of Colorado Springs. She is the grandparent of one entertaining granddaughter. 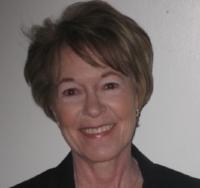 Eileen is currently retired after an engaging career teaching and facilitating for various non-profit organizations including United Way, Urban Peak Teenage Homeless Shelter, UCCS, and Peak Vista Community Health Centers. She also spent a summer in Shanghai, China teaching English. Diagnosed with Parkinson’s in 2016, Eileen attended the PD Self-efficacy workshop in Denver in 2017-2018. The PD Self workshop was so helpful in assisting to improve her quality of life that she volunteered to bring the program to Colorado Springs where she serves as co-facilitator. In 2018 Eileen spearheaded a weekly walking group aptly named PWP or Parkinsonians with Poles.Additionally, she assisted with the Parkinson’s of the Rockies Vitality Walk in Colorado Springs. Click on location for local registration information. Please note the Minneapolis program begins April, 2019.